It is estimated that more than 415 million individuals have diabetes in the world today. In the United States alone, about 13% of the entire adult population is believed to live with either type 1 or 2 diabetes (1). This number is even expected to rise with the prevalence of cases of type 2 diabetes occurring alongside obesity. It is therefore not surprising that people’s interests in phentermine, its effect on weight loss and how it affects a diabetic patient is on the increase. Most people with type 2 diabetes are either obese or overweight, and prescription weight loss medications like phentermine are one vital option for keeping your weight under control when you are dealing with diabetes. Phentermine doubles both as an appetite suppressant and stimulant (1). In this post, we will discuss the two types of diabetes, the relationship between diabetes and weight loss as well as available research surrounding diabetes and phentermine. In the United States, diabetes is considered a serious epidemic with more than 25 million people dealing with this disease. About 79 million others are believed to be dealing with pre-diabetes. Pre-diabetes is a medical condition that keeps your blood sugar levels high but not high enough for the diagnosis of diabetes. Experts believe that people with pre-diabetes can develop type 2 diabetes if they leave the disease untreated for about 10 years. If the current diabetes trend is not checked, it is predicted that one out of every three Americans will have diabetes by 2050. According to research, about 80% of people living with type 2 diabetes are either obese or overweight (3). Diabetes mellitus is commonly referred to as diabetes and has been identified as a prevalent medical condition that is mostly characterized by heightened levels of blood glucose. Different types of diabetes exist such as type 1, type 2, LADA and gestational diabetes. While all these types of diabetes can make your blood sugar level rise beyond the normal levels, they are brought about by varied factors which explains why they are separated into different categories (1). The biological source of very poor blood sugar regulations is the major difference between type 1 and type 2 diabetes. However, some other differences exist between these two types of diabetes like we will see as we move on (1). In type-1 diabetes, which is often referred to as juvenile diabetes, a person’s immune system attacks the cells responsible for insulin production in the pancreas. It is an autoimmune condition where the attacked cells are destabilized to the point where they can no longer produce any insulin. And without the adequate amount of insulin, it is impossible for the cells in the body to convert transported blood glucose into energy which the body can utilize for important functions (1). This leads to the accumulation of excess glucose in the blood and ultimately produces symptoms like extreme thirst, frequent urination, tiredness, and unexplainable weight loss. This type is common in childhood. It can also be seen in people of different age brackets. The best way to manage type 1 diabetes is through lifestyle changes, insulin injections, change in diet, regular exercises and constant monitoring. The lifestyle choice of an individual has no role to play in the cause of type 1 diabetes. Genetics are solely responsible for this type of diabetes (1). On the other hand, type 2 diabetes is caused by the accumulation of sugar in the blood as a result of the inability of the body to utilize insulin. Under this condition, the pancreas which is responsible for the production of insulin cannot function well. And this makes the body struggle to get rid of glucose and keep the cells nourished. This is what medical personnel call insulin resistance. As the individual’s blood sugar continues to rise, the person will begin to notice symptoms like dry mouth, frequent urination, constant hunger/thirst and very slow healing of open wounds (1). This type of diabetes can come to anyone irrespective of age, but it is more common in overweight, aged, and inactive people. It is easy to manage this type of diabetes with good diets, exercises, insulin and oral medications (1). Gestational diabetes or LADA are less common types of diabetes. Gestational diabetes occurs mostly during pregnancy but usually goes away after delivery. LADA, on the other hand, is referred to as late autoimmune diabetes and is common in adults. It is sometimes called 1.5 diabetes due to the fact that it shares some common symptoms with both type 1 and type 2 diabetes (1). Ensuring you maintain a healthy weight is one major way you can guarantee your overall well-being and long life. It is harder to regulate your blood sugar when you are overweight. Your risk of developing diabetes-related health complications also increases as your weight increases. According to research, reducing your weight is one easy way you can enhance your insulin sensitivity and improve your body’s ability to regulate blood sugar effectively (1). Since it has been established that insulin is the major culprit for type 2 diabetes and is made worse by overall inactivity and extra fat, maintaining minimal body weight is vital for the prevention and control of this type of diabetes (1). The American Diabetes Association recommends that overweight people should aim for at least 7% body weight reduction and engage in physical exercises for not less than 15 minutes each week to prevent the progression of prediabetes to full-blown type 2 diabetes (1). According to research, losing about 5% body weight which accounts for about 10 pounds in a patient weighing 200 pounds reduces insulin sensitivity, reestablishes blood sugar regulation and enhances cardio markers in type 2 diabetics. This explains the heavy emphasis on weight loss during treatment by some experts. So, suffice it to say that achieving as much weight loss as possible is more important than achieving blood sugar level control when treating type 2 diabetes (1). It is possible for diabetic patients to lose weight like everybody else, all it requires is a little more planning and efforts. Speaking with your medical team is the first step you should take. Some important persons you should speak with include your dietician, endocrinologist, and your primary care physician. You will have to discuss relevant issues like exercise, diets, and the role of medications in your present weight status as well as how best to modify each of the above-mentioned factors to get the most satisfactory results with your weight loss strategies (1). When it comes to the best diet for achieving weight loss with diabetes, minimizing added fat and laying more emphasis on proteins, fruits, whole grains, and vegetables can be quite an effective strategy. The American Diabetes Association explicitly recommends the Mediterranean, low carb, low fat, and low-calorie diet for weight loss for people with diabetes (1). However, there is a need to pay close attention to how your dietary changes and increased physical exercises affect your blood sugar levels. Testing your blood glucose level regularly is also vital. This is most important when you are modifying your diet and exercise regimen. 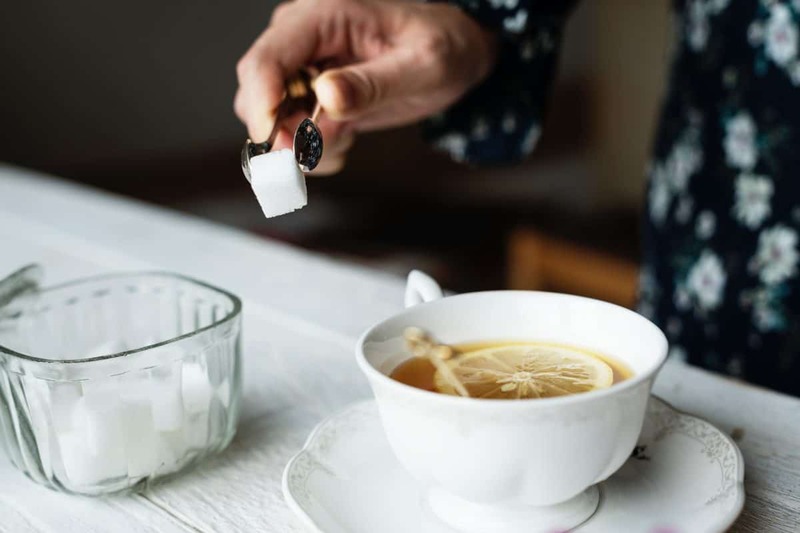 Knowing how your sugar level changes with these lifestyle changes will help you avoid deadly blood sugar discrepancies. If you ever notice a downward trend in your blood sugar levels, do not hesitate to speak with your doctor to adjust your insulin dosage and medications (1). When you put the huge benefits of losing weight for with diabetes into consideration, and the potential of certain weight loss medications like phentermine, you will understand the need to pay more attention to appetite suppressants. Below we will see some results from research on diabetes and phentermine, the response from professionals to whether diabetics can take phentermine or not and other related issues (1, 3). Phentermine is a powerful appetite suppressant that acts as an amphetamine by keeping the nervous system stimulated and the blood pressure regulated. It is a powerful prescription drug that helps speed up your weight loss especially when you have been on a low-calorie diet and doing regular exercises. It is about the most commonly prescribed medications in the United States (3). The most prominent study on this issue is a 2014 study on weight loss therapy in type 2 diabetes and the effects of phentermine published by Garvey et al. This study was conducted on 130 patients suffering type 2 diabetes for one year. The aim of the study was to ascertain if taking phentermine + topiramate ER affects weight loss and blood glucose levels (2, 4). According to results from these research, patients treated with a combination of phentermine and topiramate ER plus some lifestyle changes showed significant improvements in weight loss and blood glucose levels as compared to patients who were treated with placebo. Exclusively, people with type 2 diabetes who were treated with the phentermine combination experienced more significant weight loss and blood sugar control improvements than others (2, 4). Another related study by the same team of researchers showed that administering he phentermine combination and effecting some lifestyle changes reduces the likelihood of overweight diabetic patients progressing from prediabetes to full-blown type 2 diabetes (2, 4). Most diabetic patients do take phentermine for weight loss without any problems. Considering the huge relationship between type 2 diabetes and obesity, and all the clinical benefits associated with weight loss, phentermine is one very important weight loss medication you can take to help you achieve your desired weight and stay healthy (1, 3). However, it is important you speak with your doctor before taking phentermine to know if it is good for your specific condition. Your doctor will determine whether taking phentermine is good for you or not after conducting appropriate medical tests, reviewing your medical history and carrying out a thorough medical examination on you (1). If you combine phentermine with your diabetes medications, keeping a close tab on your blood sugar levels is vital. Phentermine and the changes it brings in your body weight can affect your sugar levels. This is why regular testing is vital to know when your sugar levels have gone up or down. Such regular tests and reports will help your prescribing physician know when best to adjust your medications and dosages to help you achieve your desired weight loss goals while maintaining a healthy blood sugar control (1). Phentermine prescription for obese or overweight people with a body mass index >30 is same for diabetic people with a lower body mass index. This drug comes in both immediate and extended release versions. There is also a version that allows you to crush the drug and mix it with your food; otherwise, the extended-release tablets should never be split, crushed or chewed. Most prescribing physicians will recommend you take one daily or 3 times a day before meals. Most people take this drug for 3-6 weeks to avoid getting addicted to the stimulating drug (3). According to the American Diabetes Association, phentermine should be used with caution. Your body’s insulin requirements will change as you make important dietary changes. Monitor your blood sugar levels very closely and make sure you inform your doctor whenever you notice any changes in your sugar levels. Your doctor will know when to change the dosage following changes in your sugar levels (3). From all available research, it is obvious that taking phentermine with diabetes comes with lots of benefits such as reducing your blood sugar levels and helping you achieve some very significant weight loss. However, it is important you pay close attention to some lifestyle changes such as your diet and your weight loss exercise regimen for some added benefits and to get better results. With the right diet plans and good exercise plans, taking phentermine for weight loss when you have diabetes will yield the most satisfactory results. previousCan Caffeine Help Your Weight Loss Journey? nextDoes Phentermine Really Cause Depression?